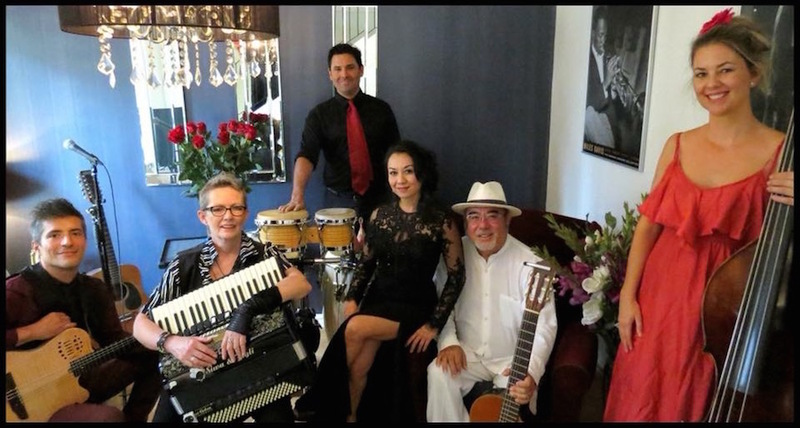 Alma Latina proudly presents their show, “Gardenias Del Amor” honouring the rhythms, beauty and romance of the Latin World with Latin, Flamenco, Tango, Samba, Bossanova and Andalusian inspired rhythms from Cuba, Brazil, Mexico, Argentina, the Dominican Republic, Italy and France. Showcasing the music of the Buena Vista Social Club, Omara Portuondo, Gypsy Kings, French Latino, Cirque De Soleil, Consuelo Velázquez, Ary Barroso, Horace Sta Maria and Bruno Martino, “Gardenias del Amour” will be filled with the warmth and rapture of great Latin classics, “Dos Gardenias”, “Tres Palabras”, “Besame Mucho”, “Aquarela do Brasil”, “Quizas, Quizas, Quizas”, “Baila Me”, “Bamboleo”, “Querer”, “Estaté”, “Histoire d’un Amour” and “I’ve Seen Your Face Before”, a rendition of Astor Piazzola’s famous Libertango. 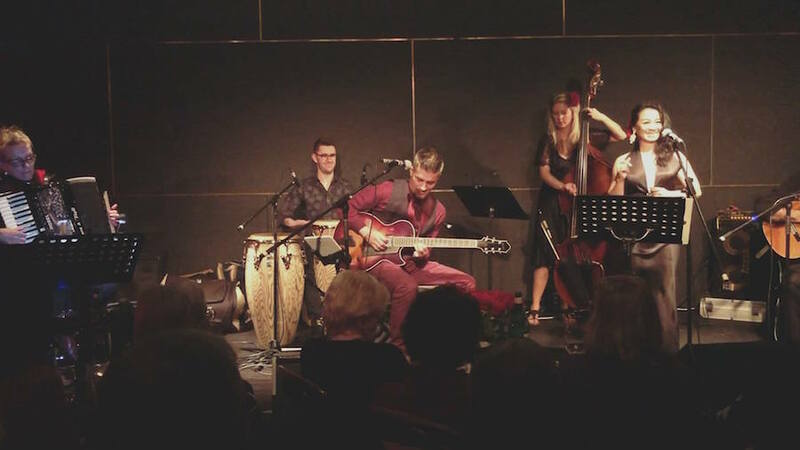 “Alma Latina”, meaning Latin Soul in Spanish, is a collaboration of musicians from all walks of life who share a passionate connection with the Latin World. Come and fall in love with the rhythms, beauty and romance of the Latin World.